Energy bills seem to get dearer and dearer and so it can really help financially if you can do things to reduce the cost of these. It is also kinder to the environment if we do not use so much energy which is something that many more of us are thinking about these days. There are some easy things that we can all try that will help us to save energy, lower our bills and be greener. It can be tempting to think that if we leave computers or televisions on that it will not make a great deal of difference. However, if a computer is left on all day and night, compared to only when you are actually using it, it can make a great deal of difference. Even leaving items on standby, rather than switching them off at the plug can needlessly waste energy. It can be difficult to reach down to a plug to switch things off but there are now devices that you can use to do this for you, without you having to fiddle behind furniture or low down on the floor. Many energy suppliers estimate that you could save £50 a year just by turning things off standby which is not insignificant. Imagine if every household di it, how much energy would be saved! It can be easy to get into a habit of leaving things on and thinking that it saves time to not have to wait for them to load up when you switch them back on. However, they do not take that long and you will soon get used to the small wait. You may find that you do not bother to switch things on so often and that could save even more energy. When you see the savings that can be made, you are likely to decide that it is worth it after all. When we are cooking we can use a lot of energy without realising it. For example, only put as much water in the kettle as you need or else you are paying to heat a whole kettle of water for just one cup. If you do this every time you make a cup of tea, then you are using far more energy than you need. However, use kettle boiled water in pans when cooking as it is quicker than using the hob. Put lids on pans so that they come to the boil more quickly and they will also stay warm as they are cooking the food more efficiently. Share pans, using separators, steamers or just mixing things up so that you do not have to heat so many. Use the right size of pan for the amount of food that you are cooking too as well as the right size of ring on the hob. Keep the heat at the minimum that you can, simmer rather than boil. Ovens are expensive to use so use the grill instead if you can. If you are using the oven, put as much into it as you can. Perhaps roasting or baking extra food, that you can just warm up in the microwave the day after. Turn off early as the residual heat will continue to cook the food. A slow cooker is an option which can be a lot cheaper a sit only uses the energy of a small light bulb and can be used to cook food over a long period of time. Microwaving is also cheaper than oven or hob cooking. When you are doing your laundry, make sure that you fill the washing machine rather than putting it on half empty. It can be tempting to wash each day so that you stay on top of things, but it will be a lot more expensive that way. If you wash sheets and towels on one day a week, try putting a few towels in with your daily load instead and doing a set of sheets each day so that you always fill the machine and you will find that you will not have to put it on as often over the course of a week. Try to dry washing on a line or airer rather than in the tumble dryer if you can. If you like the softness you get from using a dryer, then pop things in for a few minutes after they have dried on the line and they should soften up. Use eco balls in the dryer to spread out the washing so that it dries more efficiently and keep the filters clean. Do not be tempted to dry on radiators as this makes them less efficient at heating the home, so use an airer near it instead. It can be worth trying to turn the heating down by a few degrees and see whether you can manage. Try just one degree to start with and then perhaps another one, once you have got used to it. Put on extra layers of clothing and extra blankets on the beds instead and see if you feel warm enough. You could just try putting the heating on at times when you most need it rather than all day or all of the time that you are home. You could even go to bed earlier in the winter so that you do not need to have the heating on as long, take a book and snuggle under the duvet! If you have radiators on an outside wall, then put reflective panels behind them to direct the heat back into the room. Do not cover radiators with furniture as the heat will not get into the room. If you are going out for the day, then turn off the heating so that you are not wasting money heating a home when you are not there. It has been rumoured that having heating on low all of the time is cheaper than having it on the amount you need, when you need it. This is not true, when you do not need heating on, turn it right off or have it on a very low temperature, to stop pipes freezing, if this is a possible risk. If you have rooms in your home that you do not use, then turn the heating off in them, close the curtains and shut the door. The warm air will rush in when you open the door, but if you do not go in and out of the room very much, then it is not worth paying to heat it up. A smart meter will enable you to see how much energy you are using and when. This will help you to see what appliances are using the most energy. It is a great motivator as you will be able to see how much money you are paying out and therefore you will want to make sure that you are using the least energy possible. You will be able to tell how much energy lights are, by looking at usage when they are off compared to on and the same for any other item in the home. You will be able to soon know exactly which are expensive and which are not and it should help you to use things more efficiently. You should be able to have a smart meter fitted for free if you request it form your energy supplier although at the moment smart meters cannot be fitted in homes with solar panels. It is wise to think about ways that you can use electronic items less. It can be tempting to use a gadget to save time, when you may not need to. Using a washing line rather than a tumble drier is just one example, but there are many more. You can whisk by hand instead of using an electric mixer, work things out in your head rather than using a calculator, read a library book rather than an ebook, use a wind up torch rather than a battery one, wash up by hand rather than using the dishwasher and many other things. We are always charging up phones and other mobile devices and it is worth making sure that they are unplugged when they have finished charging and that you only charge them when necessary. Think about places where you could do without an electronic item and save energy and money in the process. If you have a boiler which heats a tank of water then you could be wasting a lot of energy. A combi boiler which heats water as you need it can be a lot better. If you do have a water tank then make sure that the tank and pipes are insulated so that it stays hot as long as possible and heat it just when you need it. You may only need hot water once a day for baths or showers and then can use a boiled kettle for washing up, if you do not have a dishwasher. Ensure that you turn off the water heating if you go away on holiday. A combi boiler will just heat water when you need it hot, which means that you will not have to waste heat on a tank of water that you may not necessarily use. When you replace electronic items in your home then it is wise to replace them with energy saving ones. You will find that all white goods have an energy rating and you will be able to use this to see which will be the most efficient. For items such as fridges and freezers, which are switched on all of the time, this can make a big difference to their running costs. You will also find that washing machines, dryers and dishwashers can be significantly different and as we tend to use these frequently too, then it is worth looking at these ratings. When buying mobile devices, computers, televisions and DVD players it is not always as obvious as to how much energy they use, but you can still ask about the costs. You may be able to get solar rechargers for mobile devices which will save a lot of energy. Insulating your home can make a huge difference to how much energy is needed to heat it. You can get loft insulation and some people are entitled to having it put in for fee. You may also be able to use cavity wall insulation in your home to keep it even warmer. Replacing draughty windows with double glazing can make a big difference, but is obviously a big cost. If you cannot afford to change draughty windows and doors then use draught excluders or block up gaps. Heavy curtains or thermal curtains can also make a big difference when it comes to blocking draughts and even really thickly glazed windows create some cool air so they can make a difference in all homes. You may also get a draught through floorboards if you have no carpet. Block these gaps with filler, use rugs or even consider having carpets with a good underlay to keep out these draughts. Energy saving lightbulbs are a good way to save energy. They can be really expensive but should last a long time. 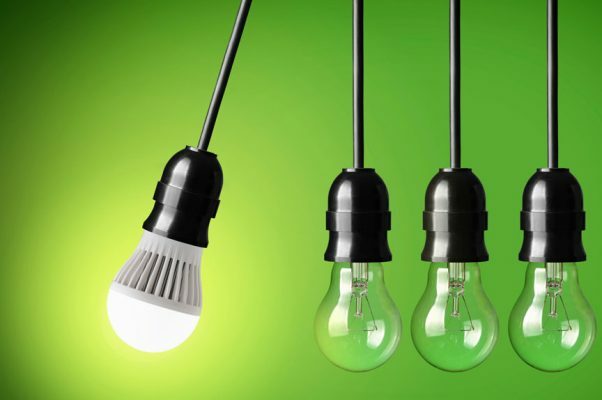 If you have a lot of halogen bulbs in your home, then they will use a significant amount of energy. Changing them for more efficient bulbs can be a great way to save. It is also wise to make sure that you turn off lights when you are not using them. It can be tempting to leave on hallway lights or put lights on in rooms that you use frequently. However, just switching the lights off when you are not using them, can save a significant amount of energy which can add up over the course of a year. I am a 20-something born and bred Londoner who is a self-confessed bit of a geek. I spend my mornings looking after my children and my afternoons writing about money saving for a range of UK websites. I hope you enjoy my content and I simply love reading feedback on my work!